Note from Editor: Beginning today, we have our first Bibliophile’s Film review, from freelancer Jo Vee, who will be occasionally submitting some of her own detailed, cerebral musings and editorials on films she has recently enjoyed. ** Do you wish to submit an article, for potential publication, here on A Bibliophile’s Reverie? Anyone, with even a casual interest in reviewing films, books, music,video games alcoholic beverages, teas, and coffees are free to email me at narniafanatic@gmail.com, with an attached WORD document file of a clean, well-edited copy of their article for consideration.Any writing style is accepted, as long as the content is substantive, thoughtful, and interesting. I am open to publishing angry screeds, rants, as long as they’re well-written. That is the bottom-line regulation for all articles here, as I am enthusiastically open to expressing the wide scope of different writing styles and views that come across in anyone’s writing. Another requirement is that the articles must be tailored, somewhat to reading and the enjoyment of reading, so the music/video game editorials must be an analysis of their narratives, in addition to gameplay (for video games), or instrutmentals (for music). For music, the narrative could feasibly be the concept behind the album, and an analysis of how well it was told. Without further ado, here is our first freelancer movie review, from Jo Vee! A HBO television drama adapted from the semi-autobiographical 1985 play by Larry Kramer and directed by Ryan Murphy, it’s difficult to find words that would pinpoint the power of The Normal Heart (2014). “Magnificent” springs first to mind, but glosses uncomfortably over The Normal Heart’s harrowing and raw subject matter. “Emotional” is a tempting choice, but although Kramer’s story is indeed one about love, its core urgency stems from its preoccupation with shocking political and social issues. “Courageous” is perhaps the best choice. The Normal Heart centers on the horrifying period when the disease now known as HIV AIDS first reared its ugly head. This film tells the story of Ned Weeks (Mark Ruffalo), a writer living and working in New York city in the early eighties. As a gay man, he is concerned to see more and more of his friends dying from this mysterious illness. This concern quickly turns to desperation and then to outrage when he learns from Dr. Emma Brookner (Julia Roberts) that medical staff are refusing to feed the sick, hospitals are refusing to admit dying men, the mayor is refusing to acknowledge any pleas for help, and that even funding for desperately needed research is being denied. The film follows Weeks’ following struggle to raise awareness, galvanize the government, and get help for the sick and dying and invisible. His activism includes writing, pleading, shouting, phone calls, visiting, gathering, handing out, and writing some more. 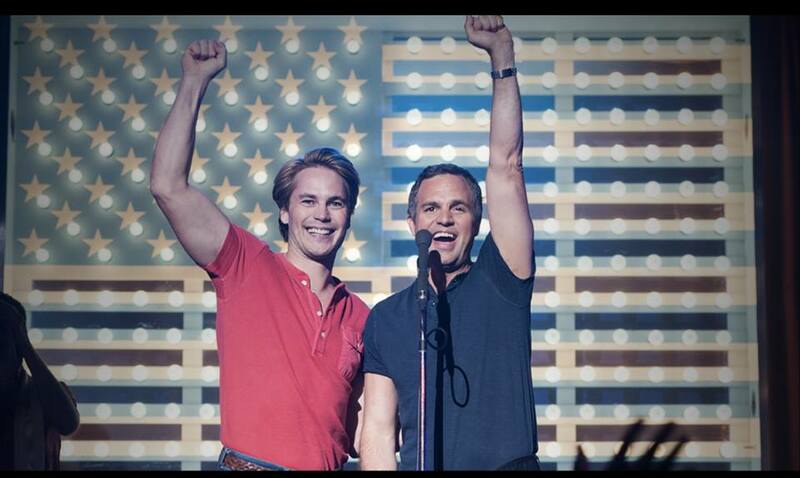 Taylor Kitsch as Bruce Niles and Mark Ruffalo as Ned Weeks. 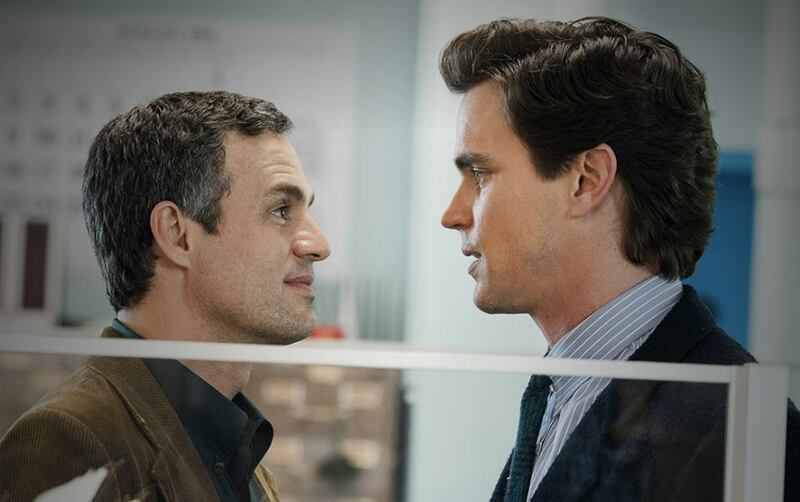 Mark Ruffalo and Matt Bomer co-star in ‘The Normal Heart’. The part of Felix Turner, a closeted reporter working for the New York times, is played by the beautiful and soulful Matt Bomer. Bomer famously read The Normal Heart as a teenager and the play resonated with him so much that when he heard it was being made into a film, he contacted those involved and asked to audition. “I was happy for any role” he says, “and I was so honored when they chose me to play Felix.” Not wanting to spoil the plot for those who haven’t yet seen it, suffice to say that the role of Felix is a complex, harrowing, jubilant and heart-wrenching one, and Bomer pulls it off magnificentlywith subtlety and integrity. Other key characters are also superbly cast, and feature many actors who played roles in the stage version also. 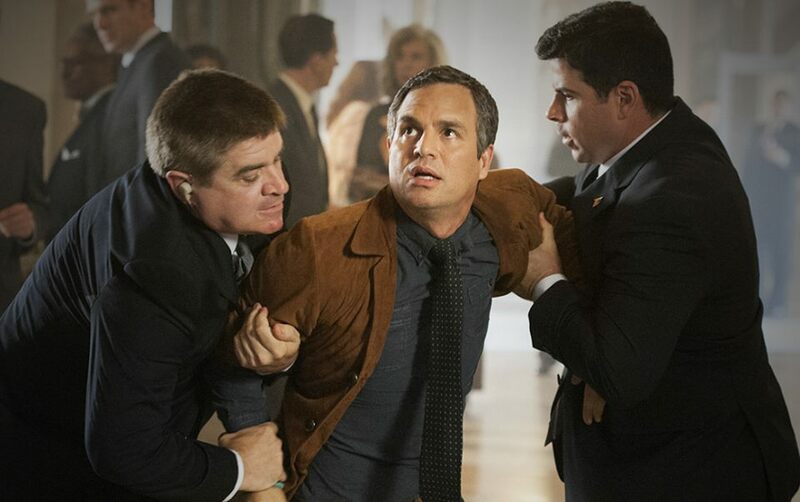 Taylor Kitsch swaggers as Bruce Niles, Jim Parsons amazes as Tommy Boatwright, Joe Mantello disarms as Mikey Marcus and Alfred Molina captivates as Ben Weeks. To undo the folded lie. I thoroughly recommend this film. Have a box of tissues handy, and get your political head on, for this is not a shallow movie. It is a joyous and moving story about love, loss, and unbelievable courage. It is a film which dregs up the homophobia that existed in the late eighties, where, in the face of a terrifying epidemic in which the ostracized minority were dying, some began asking Auden’s ultimate question: Who can speak for the dumb? So perhaps “courageous” is the most fitting word to describe this drama. Kramer’s original script was courageous, a beacon of truth in a time still haunted by stigma, HBO’s televised film is courageous in its adaption of the play’s incendiary subject matter; the actors are courageous in taking on such heavy and complex roles, and the characters themselves are perhaps the most courageous of all. The Normal Heart tells the story of those people brave enough to stand up in the face of hostile and prejudiced apathy, and demand to be counted as human beings. Tomorrow, be sure to check out my review of Sourcebook’s historical fiction novel The Magcian’s Lie, along with a new tantalizing tea recipe! !